Address: AB Architectural Design Ltd.
Set up in 2006, AB Architectural Design work throughout England and Wales and have undertaken projects in Bristol, Bath and London to name but a few. Being a small practice gives them the ability to adapt to changing circumstances and offer clients a quality bespoke service on time and on budget. They are able to oversee every stage of the project from design concepts to final completion and will discuss each stage with the clients so they know what they are getting. ActionCOACH is a team of committed, positive and successful people who are always striving to be balanced, integral and honest. They work within their “14 Points of Culture” to make sure that everyone who touches, or is touched by the ActionCOACH team, will benefit greatly. AML Group provides Audio-Visual production services and equipment rental for live-events, such as; music concerts, festivals, corporate, conference, presentation meetings, weddings and functions. Our creative team advise and deliver the ‘art of the possible’ for live-events; aiming to exceed your expectations, as well as delivering high quality technical solutions for all your Audio-Visual requirements. Benjamin Thomas Design is a product design consultancy specialising in the technical design, of bespoke items and overseeing them through the manufacturing process. Taking a client's concept it will be developed into a finished design and matched with the most suitable manufacturing process based on the clients specifications and budget. Large format printing, display graphics, exhibition graphics and signage. We also offer a full design service. We started as a small family business in 2004 and today we are proud to be one of the largest providers of homecare services in the UK. In less than eight years we have grown from one business to 200 delivering 20,000 customer visits every day. The story of our success is a testimony to the high quality homecare and support services that we provide to each of our customers. We attribute this to the excellent support we give to each new franchise business. Burton Sweet are chartered accountants and business advisers, based in eight locations across the South West of England. We work closely with business owners, FDs and financial controllers who use financial planning not only to target profitability but to analyse, understand and control their businesses. Busy Bees is a local, friendly and reliable Cleaning and Garden Maintenance Company, based in Frome. Busy Bees has established a large client database of over 1300 customers which continues to grow on a daily basis. Our committed team of employees assists us with our clientele. All staff provided by Busy Bees are experienced, uniformed and fully insured. All our staff are employed directly by Busy Bees with all the benefits this provides for our customers and our employees. Our Company prides itself in providing a flexible schedule to suit the environment, while offering a wide range of services to our clients. Café La Strada is a family run business offering a warm welcome to all, housed in arguably the oldest retail property in Frome it has been furnished to a high contemporary standard with a definite continental feel and warm ambience. Located in the picturesque pedestrian Cheap Street which has a spring fed leet running down the middle, Café la Strada feeds the hungry, thirsty and the soul! Chantry Fine Art is a print publishing and distribution company supplying a diverse range of framed and unframed Original, Limited and Open edition artwork to the trade. We are dedicated to meeting the needs of the Road Construction industry and our community. We are industry leaders, always seeking the latest innovation in technology to be able to pass on to our clients. We offer a truly comprehensive package to clients including: Plant Hire, Skilled Labour Hire, HGV, Contracts Management, NPORS Training and much more. We are estate agents, property professionals, property, sale room and livestock auctioneers and agricultural and commercial specialists covering Somerset and Wiltshire. For over 100 years Cooper & Tanner have been well recognised in the West Country as the landed property professionals and auctioneers. We operate eight offices in Somerset & Wiltshire, providing professional estate agency and surveying services to the residential, agricultural and commercial property sectors. We sell property by private treaty and by auction, we also run successful sale rooms, outside sales, provide housing surveys and professional advice on all agricultural matters including livestock auctions. We are fortunate to serve property and farming clients in a very beautiful and favoured area that encompasses the towns of Castle Cary, Frome, Glastonbury, Street, Shepton Mallet, Warminster and Wells, taking in the Mendip Hills, Somerset Levels, Wiltshire Downs and the Blackmore Vale. Our continual aim is to provide a modern quality service that is firmly founded on the traditional values of professional integrity. This Cooper & Tanner website provides a guide to the multi-practice and diverse range of our services. We are a member firm of the Royal Institution of Chartered Surveyors. If you have any queries please contact any of our offices – you will receive a warm and professional welcome. We are a 10 bedroom 5* Edwardian guest house specialising in rest and relaxation. We provide a memorable experience in a friendly and calm atmosphere. We offer well-appointed spacious, comfortable rooms for individuals, couples and families. We promote Frome, the countryside and all the locality has to offer. We're a creative agency, helping ambitious businesses to become famous brands with creative thinking, charismatic ideas and beautiful executions. We base our approach on an essential truth: people do business with people they like. Our mission is to make people like you. I'm Dara O'Hare, a multilingual communications consultant and a member of the Chartered Institute of Public Relations. I've worked at a senior level in the arts, culture, health, higher education, medicine, publishing and science for over 20 years. Based in Frome, I offer the full range of communications, marketing and PR services to organisations large and small across the public, private and third sectors in the UK and Europe. I own a local event website in Frome called Frome Diary, I teach and support small business owners how to use social media for their businesses, I own a brand called Celebrate Southern Africa which includes an annual market in Frome as well as an online magazine, I publish and promote my own writing / books as well as other writers', I sell products online in the US and the UK and I blog and write non-fiction for print media and for online publications. We have successfully helped a wide range of companies enhance their brand value, creating and delivering everything from complete company re-launches to integrated advertising campaigns. Whatever your objectives, we’ll work closely with you to make sure you achieve them. We are a creative branding agency with a proven track record of great results stretching over 20 years. Working out of an old dairy, in the heart of the Wiltshire countryside, our brains are free to roam. Experienced, talented, committed and, above all, honest. We link education, community and enterprise to create a win-win-win scenario. A charitable company established in 2018 to support the provision of decent, secure, affordable and accessible accommodation in Frome for local people on low incomes. Farnfields Solicitors, where you can expect far more - specialising in family law, lifetime planning, housing and property, tax and trusts, wills and probate, company commercial and agricultural law. At Farnfields Solicitors we always put your interests first, that’s why we have been in business since 1936. We own remarkable workhubs for smart-thinking entrepreneurs, creative start-ups and ambitious small businesses. And although we don’t like to shout about it we are recognised as one of the leading operators of shared workspace in the UK. We organise the annual Frome Carnival and other events throughout the year. These events help us to raise money for our registered charity that helps to support people in need in Frome and district. Delivering FromeFM, local community radio for Frome, on 96.6 FM. Broadcasting to Frome and surrounding villages with a radius of a minimum of 5 miles. Digital printing – flyers, posters, stationery, invites, cards etc. Prepress services include: scanning (using Kodak iQsmart 3 High-end scanner), creation/editing of pdf, fine art production, picture CMYK picture profiling for litho and digital presses and output of FOGRA certified contract proofs. 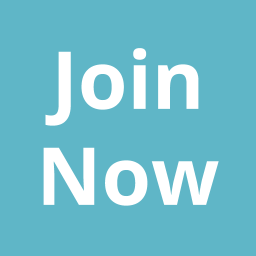 Frome Walkers are Welcome protects Frome’s status as a welcoming town for walkers by ensuring that footpaths and facilities remain open, maintained and well signed, helping to create new footpaths, supporting the creation of local walk guides and promoting the use of public transport. Fromie Gifts champion Frome makers and suppliers in curated and besoke gift boxes which also contain info cards that relate to the products you've chosen, meaning you can learn more about the suppliers and continue to support them in your own way. You can find us online and on Stony Street, Frome. Sara Coffield has been described as having advanced organisational and interpersonal skills, sharpened by her considerable experience as an administrator within the highly-demanding NHS, managing offices for consultant doctors. Over the years, Sara has developed a fascination for the art of organisation, looking particularly at sustainability, community-building, efficiency and well-being, aspiring to resource the simplest, most cost-effective and highest quality solutions for her executives to work smart. Sara left the NHS in 2010 and went freelance with Graceful Solutions in April 2011. Hilltop Studios is a web design and branding agency in Frome. We provide a professional creative service specialising in bespoke responsive web design and strategic branding to help connect your business to your customers. Specialist advice on music industry agreements and business affairs. Coaching is a conversation which uncovers learning and leads to action, a thought provoking and creative process which enables people to transform their thinking, make powerful choices and unlock their potential for fulfilment. I work as a leadership coach within organisations, across all sectors; and as a life coach to individuals from all walks of life. We quickly understand your business, its culture and your people so we can provide HR advice which is commercial, practical and, importantly, value for money. With our professional support and advice we really can help you achieve your business goals. A range of consulting and education services helping to pro-actively protect SMEs. At the core of the company is a truly family-based business, with a focus on providing professional services delivered in a friendly, co-operative manner. We have a strong track record of working with young, talented and enthusiastic employees through apprenticeship schemes, nuturing their abilities until they become an integral part of the team. We have a number of long-term clients, and even some that have been trading with us since we started. Customer retention is a key focus for our ongoing development and the majority of new clients come from referrals. Over the years the company has gone through several changes in order to keep up with the dynamics of the service sector. At present we offer electrical contracting and property maintenance services to clients throughout Bath & North East Somerset, Somerset, Wiltshire, Dorset, Devon and Gloucestshire. 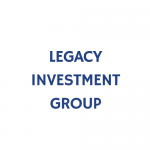 Legacy Investment Group is a boutique property investment company. We pride ourselves on finding creative solutions for and forging lasting partnerships with our clients, investors and partners. We offer innovative health insurance advice for individuals, families and business. If you’re buying insurance for the first time or you’d like a review of your existing cover then we can help you. We look at a wide selection of policies from the leading insurers and offer independent advice. Leila Hodgkins provides freelance website design and development services. Whether that means you need a brand new site, built from scratch or a refresh of an established site, Leila is always happy to provide expertise and advice. She can also help with devising and undestanding your digital strategy. Marmot Tours helps cyclists achieve their goals by organising challenging road cycling holidays in the mountains of Europe. You will be bringing your months of training, your beloved wheels, your hopes and fears. We will be bringing our second to none, ridiculously well equipped and technically competent team to support your ride! Situated in Frome in the Somerset countryside, Marston Foods has been busily making hand-made, hand-finished and hand-packed award winning desserts of the highest quality for the last 6 years. Providing the top end of the UK retail market with both private label and our own branded desserts, Marston Foods is the first choice for high end and truly delicious cheesecakes, tarts, desserts and puddings. Mendip District Council covers the whole Mendip area, which includes Frome. Its Enterprise Mendip scheme supports all the local Chambers to encourage businesses prosper in this area. Meridian Financial Services is a financial advisory firm with headquarters located in the Somerset market town of Frome. Meridian Financial Services was set up in January 2015 by our Managing Director, Andrew Palmer, whose goal was to continue to deliver high quality advice to both personal and commercial clients. So whether you are a private individual looking to review your current financial circumstances, or a business owner or director looking to undertake some commercial financial planning, here at Meridian Financial Services, we will have a solution to help you achieve your goals. Milk St Brewery is a family-run craft brewery based in Frome Somerset. Using the finest local ingredients we have been brewing unique and multi award-winning beers since 1999. Director Rik Lyall brings years of brewing experience, creativity and passion to each individual brew. In his words: "It's all about the beer." Moss Naylor Young is a consultancy which can help with Heritage Consultancy, Transport Planning, Town Planning and Waterway Regeneration projects. We cater for a wide range of functions, from corporate events to annual presentation dinners, private parties, dignitary and royal visits. We always offer a personal touch to ensure each function is special. We cover an area of 40 miles around Frome. Commercial Photography in Somerset, UK and worldwide. Professional photography for business, sports, editorial and event coverage for commercial clients. it’s all about getting the best images, I use quality equipment, lighting and experience gained over the years to achieve your companies aims. For your website, social media ,brochures or press release the correct image can make your product or company stand out. I look forward to talking through your requirements. Our mission is to enrich and grow our customers' lives and businesses through the best use of technology. We look for long-term partnerships where we can add value to our customers through reliable and fast-response IT support, infrastructure installation, cyber security and strategic advisory services. Our core values of Communication, Ownership, Respect, Growth and Teamwork are reflected in the service we deliver and the benefits our customers see. We are a Wiltshire-based graphic design company, established in 1995. We design brochures, leaflets, reports etc. as well as corporate identity/logo design. NVB Architects is a multidisciplinary practice providing a holistic design service from Frome in Somerset. The practice encompasses architecture, interior design, conservation and landscape architecture. We also run the thriving arts venue Rook Lane within the Grade 1 listed chapel that we refurbished and extended in 2002 to English Heritage acclaim. O’Toid Opticians offer a great range of eyewear options as well as first-class service. What’s more, we offer a guaranteed comprehensive sight test with a qualified doctor of optometry. We support businesses with their health & safety compliance through training, policy and documentation, auditory, accident investigation and Competent Person identification. PAAD Architects are an established RIBA Chartered Practice with sustainability at the core of our work. It varies from zero carbon homes to listed buildings to schools to Buddhist monasteries. The building could be a straw bale house to a prefabricated school building and we can handle everything in between. I’m based in Somerset in the South West of England and I’m here to help you shout about your business or organisation. If you’re looking for some ideas and assistance to promote what you do then I can help you – and I promise it won’t cost the earth. Good public relations that’s well thought through and targeted at the right audiences doesn’t have to break the bank. Many businesses find it expensive or difficult to manage payroll internally. With increasingly complex legislation like pension auto enrolment you need to stay on-top of your employer responsibilities. We solve these problems by giving you knowledgeable Payroll Managers, when you need us. Pencil Studio likes to keep things simple, every project starts with a pencil and a piece of paper. We like to think this unrestricted process allows us to explore ideas and concepts thoroughly before the fabricating takes place. Whether it's online or on-shelf, we are about developing strong, engaging brands that tell a story. We may start out with sketches but we delicately craft these into relationships. Traditional butchers shop, selling top quality local produce sourced from either our own farm or within a 30 mile radius. Emphasis is placed on animal welfare and quality great tasting produce with low food miles. Phillip Southgate Design is a small but well-established agency specialising in brand identity and graphic design. We’re based in the West Country (near Frome) but we work with clients all over, helping everyone from charities to classical music venues to harness the positive effect of good design. Each project starts with a thorough exploration of aims, attitude and audience. We then bring together strong ideas, captivating messages and stunning visual design, to create meaningful design solutions. Solutions that can flex across print, exhibitions and digital, to give your messages maximum cut-through and reach. As a matter of course, we partner with specialists such as brand strategists, copywriters and web developers. Bringing together individuals with exactly the right skills to give you the best results. We work with organisations of all kinds, big and small, and particularly in the cultural, charity and education sector. But we welcome opportunities from any client looking to use intelligent, well-crafted design to good effect. Phoenix Guidance offers a diverse and unique way to support those who are open to change, utilising diverse and unique ways of communicating. Our specialism is working with those on the Autistic Spectrum, supporting parents, employers, recruiters, teachers through One-to-one Coaching, Workshops and Seminars. Stationery, gifting, arts and crafts material, design and print services, workshops, wedding, commercial suppliers, business support services and so much more! 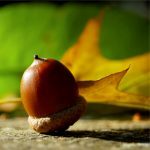 I am a life coach working in Frome and Bath and via Skype. I’ll guide you through a process of self-exploration to bring about change in how you feel in yourself and about your life. We are property consultants that work with commercial property owners and occupiers to create property holdings tailored to your business strategy. Ex BBC film makers and journalists creating high quality digital content for businesses of all sizes, public sector bodies and charities. We also run media training and crisis management courses with our partners in national newspapers and TV for people who's job is to face the public and the media. ReallySimpleSEO offers free web marketing tips, guides, tasks, tutorials & eBooks all aimed helping you get more business from the search engines. We also offer a unique £50/month Budget SEO Package which enables any business to benefit from web page optimisation at a much lower cost than most SEO firms charge. We offer computer support for home and business in Frome, Somerset and the South West. We use our 20 years of IT design, training and coaching experience to help you feel confident and understand the solutions offered. We offer small business websites, technical support, fault finding and training. Somerset Skills & Learning is a vibrant staff-led Social Enterprise, which delivers a wide range of education services to young people and adults across Somerset. We are a customer-focused organisation, working closely with Somerset communities, and we are committed to changing people's lives for the better. Property development, renovation, conversion and investment. We also manage and let property within our own portfolio and for other clients. We are a Frome based agency which specialises in Web Design and Development , Multi-Platform Application Development and Search Engine Optimisation (SEO), as well as being experts in Email Marketing and IT Support. We have completed over 500+ web based projects for small and large organisations across the UK. For Frome and the surrounding area we provide a full range of window cleaning services for domestic and commercial markets, including outside and inside glass, outside frames, conservatories and conservatory roofs. With almost 40 years’ experience in design, print, point of sale, brand management and retail products, our team of over 40 account handlers, designers and art workers can offer you blue skies thinking and cost effective marketing solutions. Alternatively, you can pick from a comprehensive list of services including design, emarketing, litho and digital print, across all sizes and media. Either way, you can expect the highest standards of service from our entire team of over 150 dedicated staff. The What-People-Want Engine makes Market Taxonomies offers unique visual analyses of the things that people want in your marketplace. They highlight opportunities for you to grow sales and satisfy customers. We help you improve your range of products - so you increase your share of market - and help you improve the merchandising of the products you already sell - so you sell more of them. We offer a professional, affordable and friendly Accountancy service for small and growing businesses in Frome, Bath and the surrounding area. Our services include Accounting and Bookkeeping, Personal Tax, VAT, Payroll, Accounts Production, Corporation Tax and Business Start Up. We work mainly with small businesses and because we are small ourselves we build close working relationships with our clients. I set up The Excel Experts to help businesses and individuals spend less time struggling with their Excel spreadsheets, and make them more effective and happy users! We're involved in the creative and innovative application of theatre through narrative, exploration and spontaneity. We are the 'curiosity engine', with performers, workshops and the rest. We provide 5* boutique self catering accommodation for up to 35 people. Upper Vobster Farm is a place for them to rest and enjoy walks through the surrounding 40 acres of fields and woods. It's the details that count and we have finished all the rooms to the highest standard and this is reflected in the way the place is run with guest consideration being paramount. Lynda Williams is the Associate Director of Bristol Business Engagement Centre. She works mainly on the field of external engagement developing fit for purpose training and development opportunities for businesses. She also manages a large ILM center and is passionate about accreditation and employability, hence undertaking a large piece of work embedding professional qualifications into UG and PG modules. As chartered building surveyors and architectural technologists we are pleased to offer a full range of services tailored to suit the needs of contractors, developers and homeowners. As a RICS regulated chartered building surveyors are services include; Project Management, Party Wall surveys & agreements, full building surveys, structural building surveys, measured surveys, contract administration & boundary wall disputes. In addition to these services our offices in Bath & Bristol can provide architectural design consultancy, structural design, building control services, Health & Safety advice, fire risk assessments and CDM consultancy to other surveyors and architects. We undertake a range of both commercial and residential projects including extensions, loft conversions and refurbishments, our practice is regulated by the Royal Institution of Chartered Surveyors and the Chartered Institution of Architectural Technologists.